Each month our forums endlessly debate who might turn up on the cover of Vogue. The usual names always arise, but we’re pleasantly surprised to see Amy Schumer as Vogue‘s cover star for July 2016. Following her Vanity Fair appearance just two months ago, the comedy queen was once again shot by Annie Leibovitz, on location at New York City’s Central Park. Similar to Katy Perry‘s 2013 cover, Amy poses nonchalantly on the grass, decked out in a figure-hugging Dolce & Gabbana dress selected by the magazine’s very own Tonne Goodman. Per usual, the real question remains: were our forum members impressed? “For crying out loud, this can’t be the best cover shot they had! Her face looks especially unflattering here!” cried out a disapproving Miss Dalloway the moment the cover dropped. “She is way more lively than this Vogue! What an uncomfortable angle,” agreed a disgruntled jeffandtheworld. “U.S. 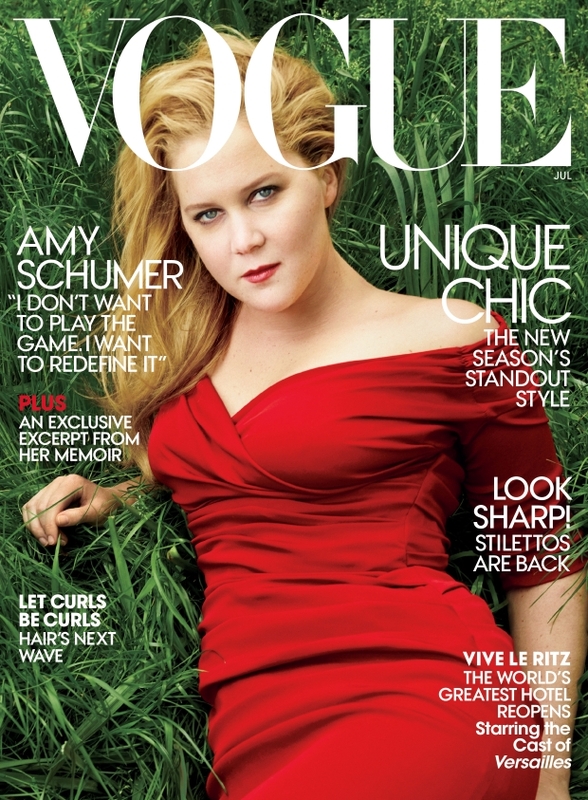 Vogue has been on a role with amazing covers all year and they just ruined it with this Amy cover!” declared RanThe. Not much positivity flowing in the thread just yet. Add your own two cents and see more from Amy’s cover shoot here.